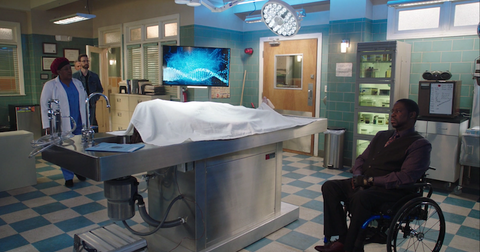 This week's episode of NCIS: New Orleans was an emotional one. Fans got a bit of backstory regarding Investigative Computer Specialist Patton Plame, played by the inimitable Daryl "Chill" Mitchell, who's been part of NCIS's cast since the show first aired in 2014. We watched as the NCIS team investigated the murder of Patton's former Navy SEAL friend, who was killed in a drive-by shooting while Patton watched. While that was enough of a storyline to keep fans hooked for the episode, it also fleshed out a bit of Patton's backstory. 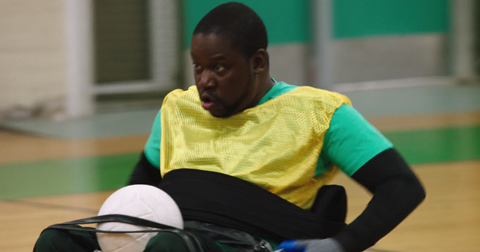 Namely, viewers got to learn more about the life-changing injury that put him in a wheelchair. So, is Daryl "Chill" Mitchell aka Patton really in a wheelchair? 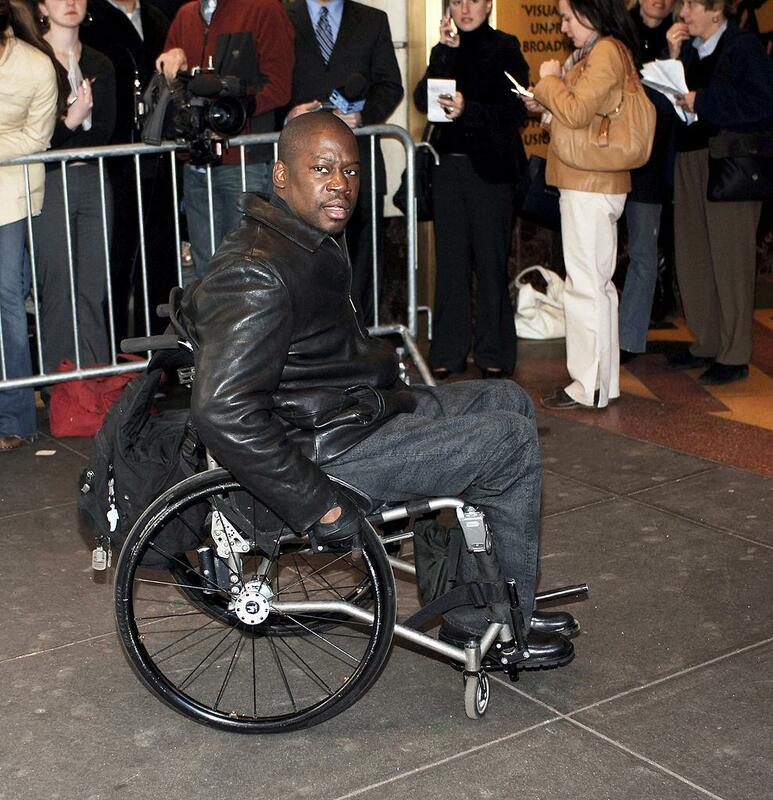 Although you might remember actor Daryl Mitchell as Mr. Morgan in 10 Things I Hate About You or for his recurring roles on The Cosby Show, in which he was able-bodied, the star does indeed use a wheelchair in real life these days. In 2001, after he was already an established actor with over 25 acting credits to his name, he suffered a motorcycle accident that left him paralyzed from the waist down. "It was dark and I didn't know the roads really well," the actor told Fox News. "I went around a bend and on the other side there was gravel and loose pavement and bam, the bike shot right underneath me. I woke up five days later in the hospital." 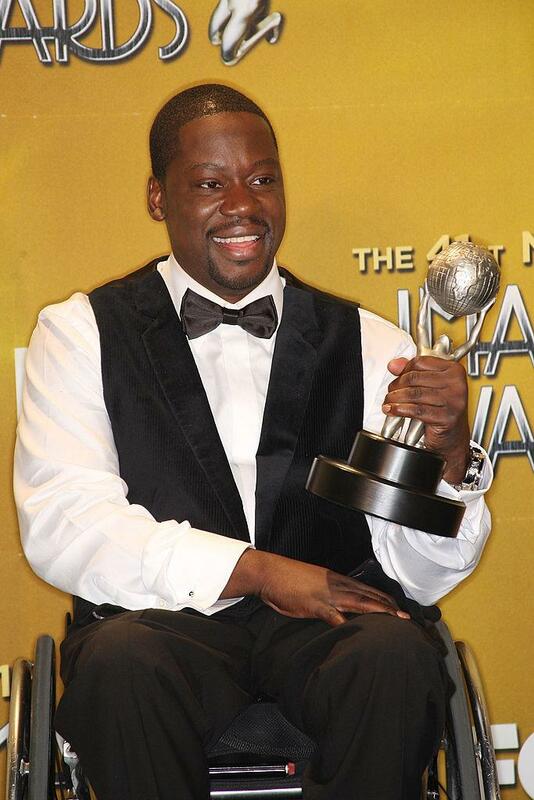 Denzel Washington and Chris Tucker encouraged Daryl to continue acting following his accident. From a brief glimpse at his IMDb, you would never guess that Daryl had a life-altering accident because he never took a break from acting. That's because he got tremendous encouragement from his family and friends, including actors Chris Tucker and Denzel Washington (who invited him to attend the Oscars in 2002 when he won for Training Day) to not give up on acting. He also got support from a friend, who — similarly to Patton's friend on the show — fell victim a drive-by shooting gone wrong. Luckily, the shooting didn't end his life, but it did leave him paraplegic. From day one, he showed empathy, but he didn’t show sympathy," Daryl told Ability Magazine. "Man, he was like, 'Get it goin’ right now.' He was very much of the mindset, 'This is just what it is and you deal with it.'" Daryl is now a big advocate for employing actors with disabilities. "It's really a matter of what we need to do," he continued. "We need to be more boisterous. We need to let the world know that we're here." He encourages other people who've recently become disabled to hold on to the things they believe in. "You cannot do this by yourself," he said in an interview with Fox News. "You need your family, friends, faith and love." We're delighted to see that the accident hasn't stopped Daryl from booking Hollywood roles and hope that the trend continues to choose actors with disabilities over able-bodied stars to play these parts. New episodes of NCIS: New Orleans air Tuesdays at 10 p.m. on CBS.